I have a set of 40mm webers that are in need of a fuel pressure regulator. I was just wondering if there was a certian one that would do or will any make work? Thanks in advance. I found one made by Mr. Gasket from Lordco. It was exactly what I was lookig for. 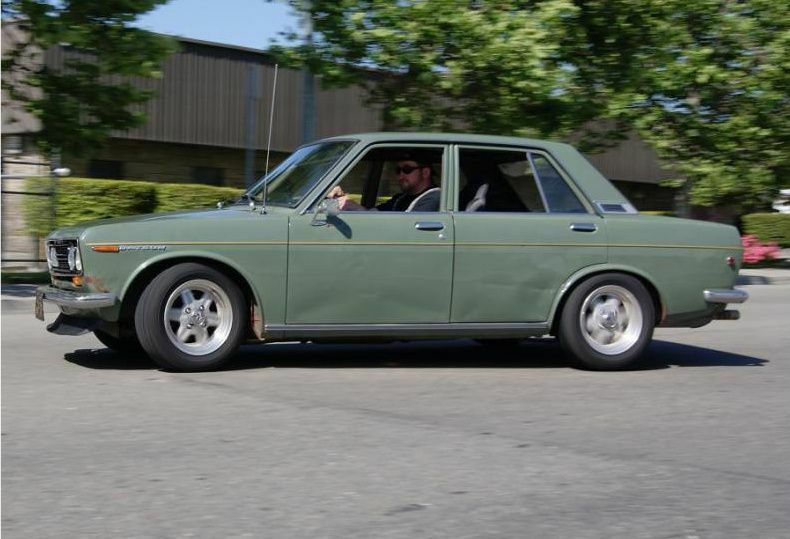 DO IT, IN A DATSUN. A local enthusiast, Glen, has just installed a nice set if DCOE's on his L20B. 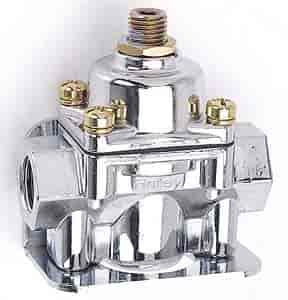 I went over to his place the other night to assist with a linkage question, and noted the fuel pressure regulator he installed was an inline Dial style Mr. Gasket unit. Additionally, mounting the pressure reg on the engine – what do the engine vibrations do to the unit over short and long term Does this mounting position effect it’s operation? Anyways, any input from the crew here would be appreciated, as well as experience long term with their use so that I can pass along reasonably accurate information to this new member to our community. 1-4 psi, they make another that's 4-7 psi. I didn't put a gauge to the dial-a-pressure regulator, but I'm not that confident the fuel pressure settings were very precise. You need a pressure gauge to set the Holley regulator's pressure. Just a Sunday morning bump, does anyone have experience with these Mr Gasket fuel pressure regs that they can share? Free time at the hangar here in Ethiopia, and I'm reviewing the Tech section. Since no one has chimed in for almost 2 years, I can toss in my experience. Ran this version on my Rx2, with the Holley 4 barrel. I mounted it on the strut tower, and plumbed an in-line gauge right after it. The setting on the dial matched very closely to the reading on the gauge. The only info I can't provide is long term accuracy. I never got to put enough miles on the car to give that data. Hangaring in Ethiopia? Maybe this is a stupid question, but, do they have good coffee there? I bought some Ethiopian green beans for roasting and they were DeLuxe! For my dual DCOE carbs, I went with the Aeromotive regulator. I didn't like the construction of Mr. Gasket or Holley, I wanted something of quality. So I went with Aeromotive. A bit pricey, but you can get rebuild kits for them too. I blocked off the 2nd outlet and got the appropriate AN fittings. Installed a VDO fuel pressure gauge in the 1/8" NPT port. I adjusted the pressure to 3psi with a simple turn of the top screw and tighten the locking nut. I also got a hose kit from Pierce Manifolds for the triple Weber setup. Way too pricey but the banjo fittings on the carbs are kinda special machined. I suppose one could modify their own AN banjo fittings to fit the Weber. Still, a nice clean installation.